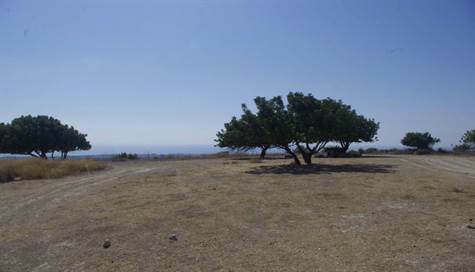 Konia, Paphos - This fantastic, level plot in Konia has full, panoramic sea views. The elevation makes it impossible for anyone to build in front or for views to ever be obstructed. It is in a great location close to Paphos town and has title deeds. Utilities are available - electricity and water supply facilities are close by making it possible to easily and quickly connect them. This is a prime location.